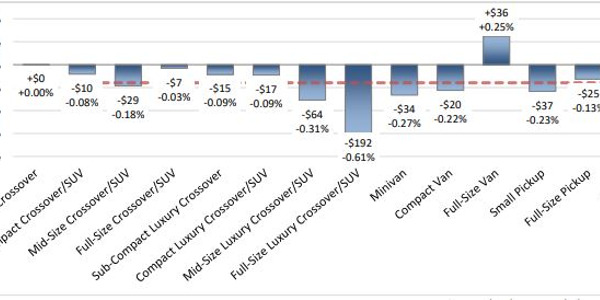 Chart 1: The depreciation averages in this analysis demonstrate the common rule of thumb that vehicles lose the lion's share of their value from the moment they're driven off the dealer's lot until year two, and then depreciate on a gentle slope thereafter. 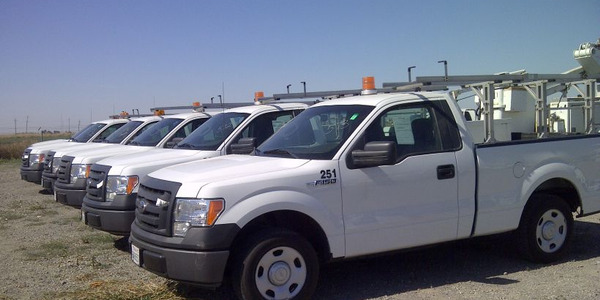 It is an age-old question: Does it make financial sense to run fleet vehicles longer? There are certainly many other considerations that weigh in on replacement cycles, such as cash flow and company image as well as type of vehicle, capitalized costs and, of course, how those vehicles are being used. But in a vacuum, since depreciation is a fleet’s largest expense, many fleet operators believe extending the replacement cycle will automatically lower a fleet’s fixed costs. True, depreciation is steepest in the first year of a vehicle’s life, and the slope of the depreciation curve flattens moving forward. But because depreciation is only one factor affecting a vehicle’s total cost of ownership (TCO), extending hold times doesn’t necessarily result in a better TCO. With this in mind, we asked the lifecycle cost experts at Vincentric to put together a cost-of-ownership analysis for replacing vehicles after three, four, five and six years. 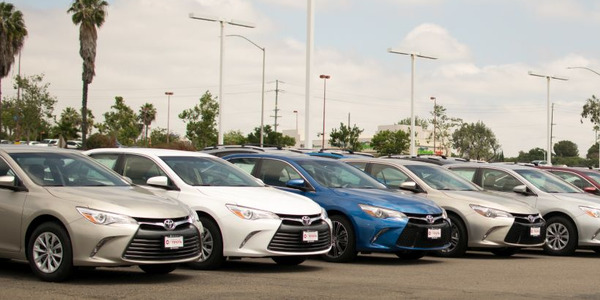 Vincentric crunched the numbers for 25 popular fleet vehicles in the 2014 model-year — with fleet-centric trim levels — in the compact, midsize, large sedan, compact crossover and half-ton pickup segments. Scenarios of 15,000 and 20,000 annual miles driven were collated (Chart 2). depreciation, financing, fees and taxes, fuel, insurance, maintenance, opportunity cost and repairs. Each month, Vincentric recompiles its database to take current market conditions into account. 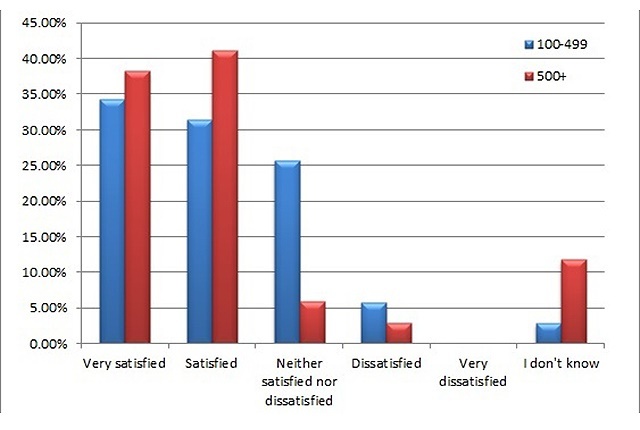 Data for this analysis was pulled on Jan. 28. Looking at Vincentric’s eight cost factors, three move uniformly: insurance goes down while opportunity costs and fuel go up. Opportunity costs represent the loss of potential interest earnings if the out-of-pocket expenses incurred by owning and operating the vehicle had been invested in a savings account. Fees and taxes fluctuate because the first year incurs sales tax (in states that charge it), then some states charge fees every other year. Nonetheless, opportunity costs and fees and taxes are minor cost factors. Let’s pay closer attention to the larger ones: depreciation, fuel, repairs and maintenance. Chart 1 illustrates that vehicles depreciate most severely in their first year of life. 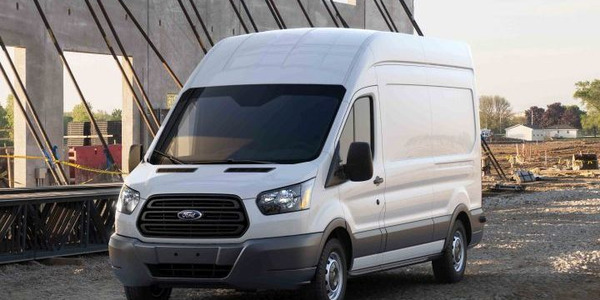 But of course, commercial fleets generally keep vehicles for three years or more, so we’re taking the average depreciation for years one to three and comparing them moving forward. 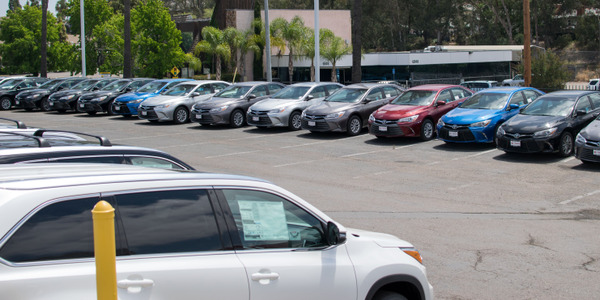 On average, the vehicles in the 15,000-mile band depreciate at virtually the same rate from year three to year four, and then experience a slightly more pronounced depreciation in years five and six. The 20,000-mile analysis shows a similar depreciation trend, but in greater dollar amounts per year because of the greater miles incurred. Fuel is the second biggest operating cost. The Vincentric analysis assigns a 3.5% inflation increase to fuel prices yearly. In this analysis, if you’re running fleet vehicles 20,000 miles per year and holding them for six years, you’d pay an average of $521 more in year six than you did in year one. This, of course, assumes fuel prices will rise — and discounting short-term fluctuations, no one is predicting they’re going to fall. This analysis does not take into account degradation of fuel economy as an engine ages. It is possible to lose 1% or more in miles per gallon a year. 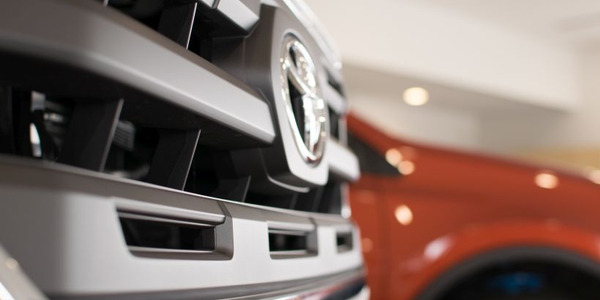 In addition, new vehicles have better fuel economy than the ones they replace. Not only would you incur rising fuel premiums the longer you run your vehicles, you won’t realize the savings of a more fuel-efficient vehicle. 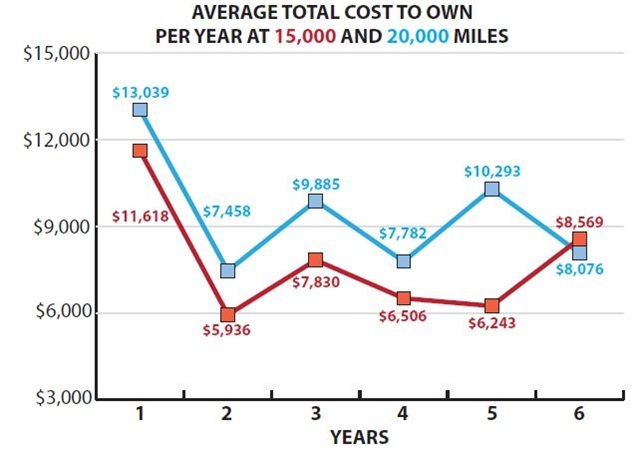 Chart 2 shows the total costs of ownership (TCO) by segment of fleet-centric models in the 2014 model year, at 15,000 miles per year and 20,000 miles per year. Vincentric Market Price is calculated as invoice plus destination minus published fleet incentives. Models with the lowest TCO for each segment by year are highlighted. 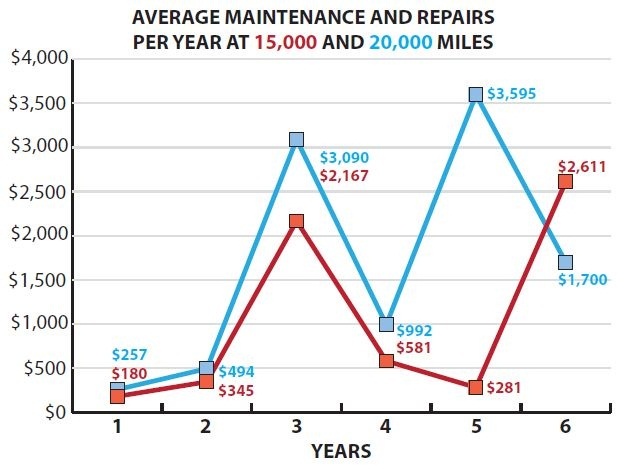 Chart 3: Because of the mileage intervals in which scheduled maintenance items occur, average costs for maintenance and repairs fluctuate greatly. Maintenance costs rise and fall while repair costs steadily rise (Chart 3). In the 15,000-mile-a-year analysis, maintenance costs rise incrementally in years one and two and then jump dramatically in year three, only to decline in years four and five. In fact, on average, the maintenance expense in year five is even lower than for year one. But when we reach year six, maintenance costs make their most dramatic jump. That year incurs nearly 44% of maintenance costs alone. The higher the annual mileage, the sooner those substantial maintenance costs arrive. Hence maintenance costs at 20,000 miles jump dramatically in year three, contrasted by a steeper drop between years three and four. The big hit comes in year five, when 39% of all maintenance costs occur in the average six-year lifecycle. Vincentric bases repair costs on the cost of a zero-deductible extended warranty that takes into account the manufacturer’s warranty. 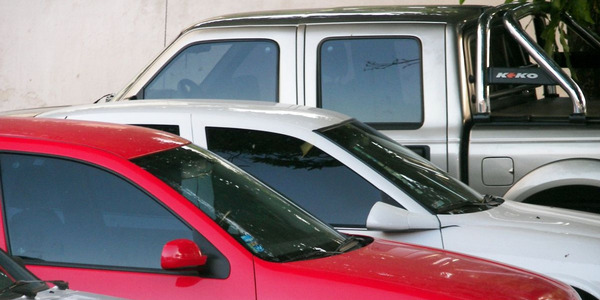 Therefore, most vehicles start to incur repair costs in year three. That figure nearly triples by year six. Chart 4: When accounting for all eight cost factors, total cost to own (TCO) per year can fluctuate greatly year to year. 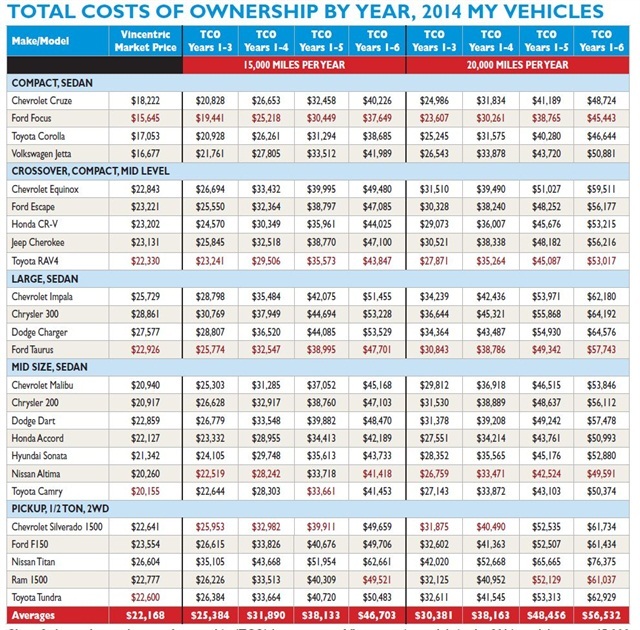 Taking into account all cost factors (Chart 4), the average TCO per year for the vehicles in the 15,000-mile band decreases from year three to year four by an average of $1,323 or 16.9%. From year four to year five, the TCO per year drops again, but by only $264 or 4.1%. But from year five to year six, the TCO increases by an average of $2,327 or a whopping 37.2%. In the 20,000-mile band, the average TCO per year follows a similar pattern until years four to five, when the TCO increases by $2,511 or 32.3%. From year five to six, the TCO decreases again by $2,217 on average. What does it all mean? 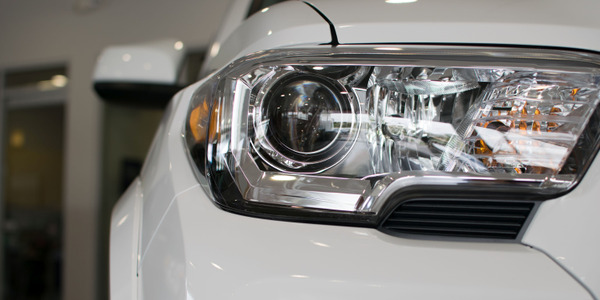 First, assuming you hold your vehicles for at least three years, in the 15,000-miles-per-year analysis, you’ll spend less in years four and five compared to your average costs for the first three years. But the situation reverses itself dramatically in year six when your TCO is greater than all years except the first. The vehicles in the 20,000-miles-per-year analysis accumulate miles quicker, so the biggest TCO hit after the first year comes in year five. Should you then consider de-fleeting before the big TCO spikes? This strategy seems to make financial sense. But remember, although the Vincentric data is based on a compilation of real-world data points, this is nonetheless a theoretical analysis, and there are many other external factors to consider. Armed with this data, you can now make more informed choices based on your specific needs.